Canyon Dental consists of Dr. Vanas and his team of experts. To meet the whole team, please click here! Canyon Dental Centre in North Vancouver offers many amenities at our dentist office, including an on-site skin care clinic. Meet Dr. van As and the team behind Canyon Dental Centre in North Vancouver. 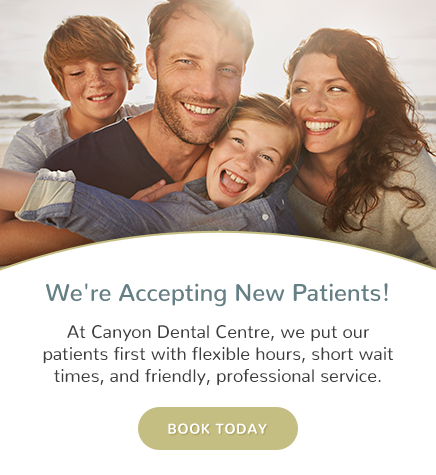 Canyon Dental Centre is your North Vancouver dental office! Contact us and book and appointment today! We have many dentist chairs which means we can provide concurrent services to family members all at one time. Our offices feature overhead televisions that you can watch while you receive treatment. We have reading material, TV, and iPads to make you feel right at home! Not to mention we have both heated and massage chairs. Our office is calming and even has a fish tank! We are situated right in Lynn Valley Village, close to many amenities and other businesses. We want your visit to our office to be a positive experience. Our office is located on the 3rd floor, easily accessible by elevator. Our office features a children's play area and our staff are friendly and will work with your kids for a pleasant dental experience.